We'll see player changes tonight but will we see goals? Cardiff haven't scored a competetive goal yet this season. Three Pemier League games have all been blanks but City have picked up a couple of points in those games. Tonight it's Carabao Cup 2nd round action at CCS and a chance for some players not in the Premier League starting eleven to show why they should be. Cardiff manager Neil Warnock will ring the changes for the Carabao Cup visit of Norwich. Goalkeeper Alex Smithies and defender Greg Cunningham are expected to make debuts following their summer arrivals. Lee Peltier, Jazz Richards, Loic Damour and Gary Madine are among those expected to get game-time as Warnock rotates heavily with Sunday's Premier League game against Arsenal in mind. Nathaniel Mendez-Laing was injured in a collision with Huddersfield goalkeeper Ben Hamer on Saturday and he will sit out the second-round tie alongside Junior Hoilett (groin) and Aron Gunnarsson (knee). Norwich boss Daniel Farke will shuffle the pack with the East Anglian derby at Ipswich awaiting them on Sunday. Summer signing Emi Buendia could make his first start for the club after two substitute appearances in the last week and Mario Vrancic may also be in contention after injury. Other players who are expected to start are Christoph Zimmermann, Ben Godfrey, Dennis Srbeny and Marco Stiepermann, just as they did in the 3-1 home win over Stevenage in the previous round. Michael McGovern was in goal for that tie and could again deputise for Tim Krul while Kenny McLean is ruled out until after the international break with a ligament injury. 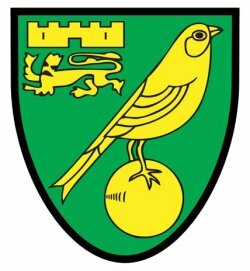 Cardiff won both of their Championship matches against Norwich in the 2017-18 season, having won just two of their previous 11 games against the Canaries (all in league competition). Norwich eliminated Cardiff from the League Cup in their only previous tie in the competition in the second round in 1983-84 - after a goalless first leg, the Canaries won 3-0 at Carrow Road in the second leg with a hat-trick from Mick Channon. Norwich have won their last six League Cup second round matches, while Cardiff haven't reached the third round since 2014-15. Cardiff winger Junior Hoilett has scored four goals in his last six matches against Norwich in all competitions. This is Cardiff manager Neil Warnock's 13th consecutive home League Cup match, winning six and losing six of the previous 12. His last cup match against Norwich was in the FA Cup in February 1992, with his Notts County side losing 3-0.